Hubbell's commitment to corporate social responsibility and sustainability initiatives is a vital part of our business model. Our commitment benefits not just Hubbell and our employees, but our investors, customers and communities. We do not view sustainability to be limited to a business, product or location. At Hubbell, we believe that the principle of sustainability can be incorporated into diverse areas of our business and can help Hubbell live up to its four pillars: serve our customers, grow the enterprise, operate with discipline, and develop our people. Whether it's manufacturing new products, tracking energy usage, enhancing safety measures at our locations, or providing our employees with development opportunities, Hubbell continues to seek better solutions and opportunities for all its stakeholders. I look forward to Hubbell's continuous improvement in this area and to sharing our journey with you. As part of our investment in our people, Hubbell has launched a global dashboard to support employees and managers to own their careers and lead their teams. Here, they can access and update personal and team information, set objectives and give feedback while creating individual development plans and accessing Hubbell University. 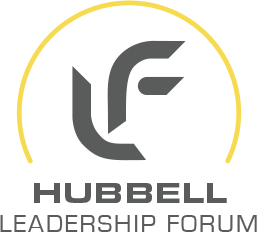 Hubbell targets different stages in the leadership cycle through a variety of programs, including Improving Business Acumen and Leadership Forum. We are always focused on offering new opportunities for leadership development. 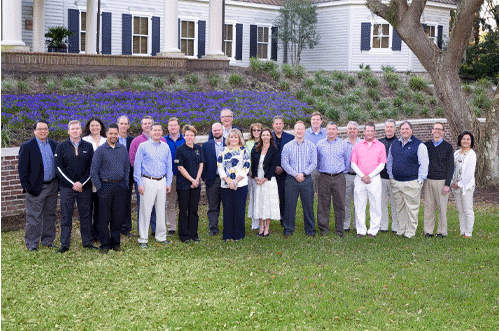 IBA is a business strategy program that brings together employees from across the enterprise. Participants work together in an intensive business simulation, putting their decision-making, analytical and collaborative skills to the test. The Leadership Forum focuses on providing a deeper understanding of the enterprise and individual business strategies, while providing personalized development for participants and strengthening their relationships with senior leadership and each other. We encourage our employees to own their careers; an important part of that is having access to development. 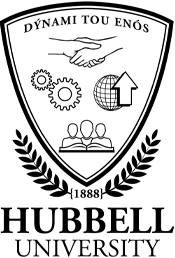 Hubbell University is a company learning platform that supports education and development across key areas, such as Business Acumen, Leadership, Functional Skills and more than 60 different Compliance courses. These "colleges" within Hubbell University help build the skills and knowledge needed for today's roles and prepare employees for future roles. We offer access to online and instructor-led books, videos and content to support every learner's style. Hubbell provides market competitive compensation, health & well-being, and retirement benefits based on the countries and markets in which we operate. Our total rewards are designed to attract and retain high-caliber employees and motivate market-leading performance. These offerings enhance our culture by providing support and resources to our employees and their families. Hubbell is committed to an environment where we respect and encourage individual differences and talents, where everyone has the opportunity to contribute, leading to better business outcomes. It is important that all employees feel they can bring their whole selves to work every day. WATCH is a worldwide Hubbell organization open to all female Hubbell employees. WATCH has worked to embrace and inspire all Hubbell women. 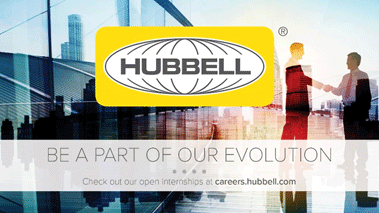 Hubbell offers a variety of pre- and early career opportunities through Internships, Co-Ops and Rotational Programs. Each program offers students real-world experiences while providing exposure to leaders across the company. We are excited to continually expand the program, and now offer it across more than 30 locations worldwide. In 2018, Hubbell was awarded a spot in WayUp's Top 100 Internship Programs. 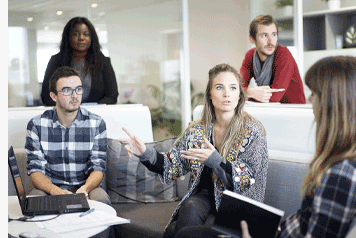 This program recognizes the 100 best internship programs in the US each year. Our executive team embraces diversity of ideas and backgrounds, and demands the same from all Hubbell employees and stakeholders. This commitment is embodied in our Code. 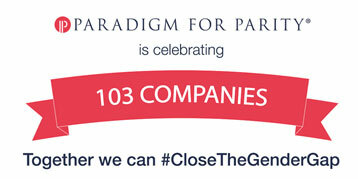 In March, 2019, Hubbell joined the Paradigm for Parity® coalition, joining over 100 other companies in committing to achieving gender parity in its senior leadership by 2030. 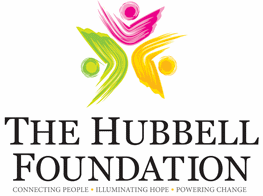 For more than 50 years, the Harvey Hubbell Foundation has supported charitable organizations in the United States to help transform lives and communities. 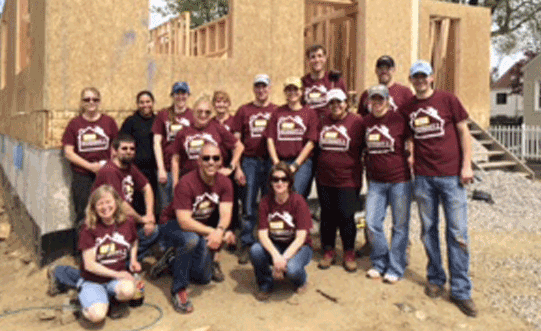 Among its priorities is to support the charitable work of Hubbell's employees. The Foundation matches contributions to eligible educational institutions, supports scholarship programs, and has entered into pledge partnerships with local universities. The Foundation is committed to supporting STEM (Science, Technology, Engineering, Math) programs around the US. Through the Foundation's "Dollars for Doers" program, the Foundation donates funds to eligible charitable organizations based on the hours volunteered by employees. The Foundation works with three key partners - American Cancer Society, Habitat for Humanity and the Make-A-Wish Foundation. 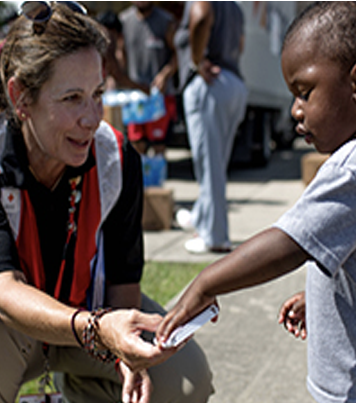 The Foundation works with the American Red Cross to send aid whenever there is a need. The Foundation does this through direct contributions as well as by matching dollar for dollar amounts raise by Hubbell employees through dedicated campaigns. 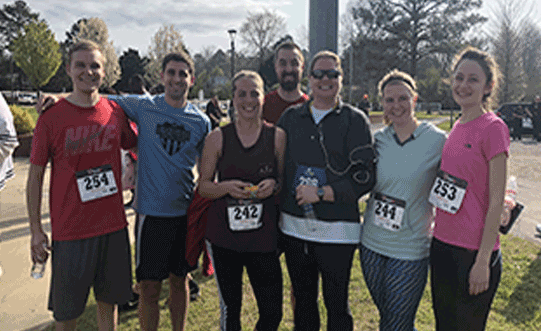 In addition to the Foundation, Hubbell employees separately organize, run and participate in charitable endeavors in the US and around the world. Hubbell takes pride in protecting the women and men responsible for manufacturing the high-quality products demanded by our customers and expected of the Hubbell brand. 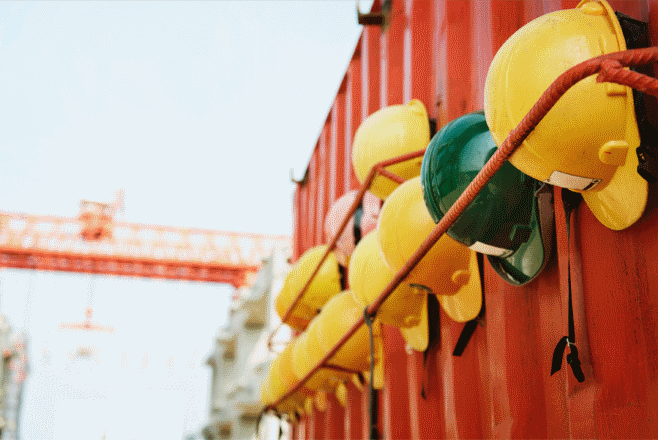 Health and safety management practices are integrated into all aspects of our business, and we are committed to continually assessing and improving them, in order to protect the health and safety of our employees. Hubbell's EH&S (Environmental Health & Safety) Policy shows our commitment to workplace safety and protecting the environment. Hubbell follows the motto of "Always Think Safety." We drive that by conducting industrial hygiene assessments, internal and external audits, inspections and assessments, job hazard analyses, and ergonomic assessments. Hubbell uses an enterprise-wide data management system to track this information. In addition to the ongoing safety programs, each Hubbell manufacturing location also spotlights a different safety focus each month. 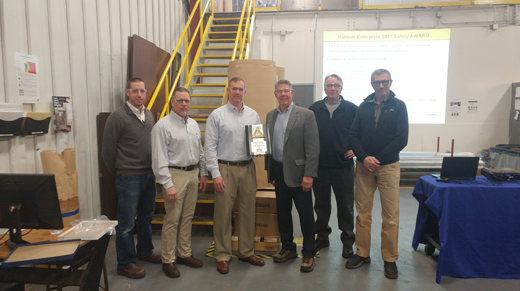 Each year, Hubbell presents the Chairman's Safety Awards, awarded to both a large manufacturing site (150 or more employees) and a small site (fewer than 150 employees). 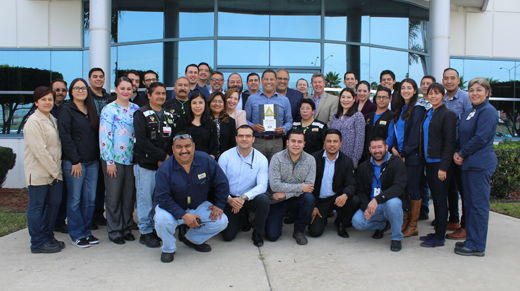 "At Hubbell, continuous improvement of our environmental and safety performance is critical to the success of our business and something we take seriously. It is something that we live every day." Hubbell does not tolerate any type of workplace violence committed by or against individuals and provides Preventing Workplace Violence training for all employees. We have adopted a Code of Business Conduct and Ethics Policy to provide a framework to our employees for conducting business with the highest level of integrity. The Audit Committee of the Company’s Board of Directors (the “Board”) oversees and receives regular reports on Hubbell’s compliance program. The Board remains focused on ensuring the Company’s commitment to ethical and responsible conduct and the Company’s compliance with the laws of the countries where we do business. At meetings throughout the year, the Audit Committee reviews and analyzes reports from management, our external auditor and Hubbell’s internal audit team regarding compliance with the Code and applicable regulatory and legal obligations. Posters at every Hubbell controlled location. Hubbell further offers a resource where individuals can ask questions or report concerns confidentially or anonymously. 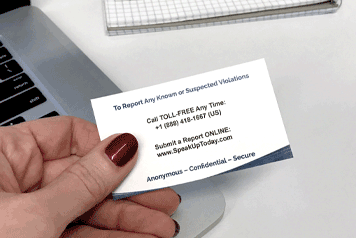 This service - Speak Up Today - is managed by an independent third party and is available to employees, customers, vendors or other observers. Available 24/7, the Speak Up Today hotline is accessible via the web or by phone through toll-free telephone numbers in 18 countries. Hubbell had zero product recalls in 2018. The obligation to promote and protect fundamental human rights is ingrained in the culture at Hubbell and the way we conduct business. Hubbell is committed to eliminating the occurrence of human rights violations from our commercial operations and supply chain. Hubbell strictly prohibits all forms of involuntary labor, child labor, bonded labor and human trafficking in its business dealings. 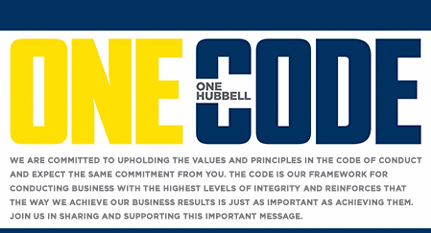 Hubbell's Code provides minimum human rights and workplace standards that all vendors, suppliers, agents, contractors, distributors and business partners of Hubbell are expected to follow. All Hubbell stakeholders must respect human rights and employ workers at or above the minimum age in each applicable jurisdiction. 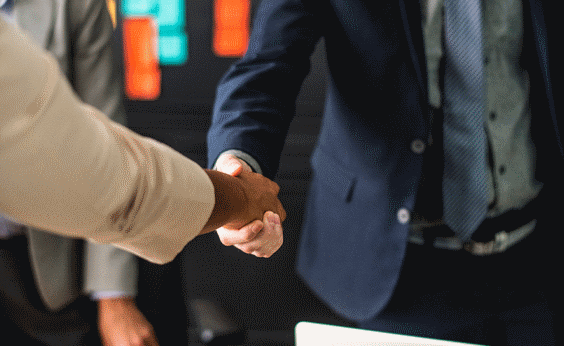 To comply with the Foreign Corrupt Practices Act, at Hubbell we conduct business fairly; bribery and corruption are absolutely prohibited in all of our dealings, anywhere we do business, and by anyone who represents us. 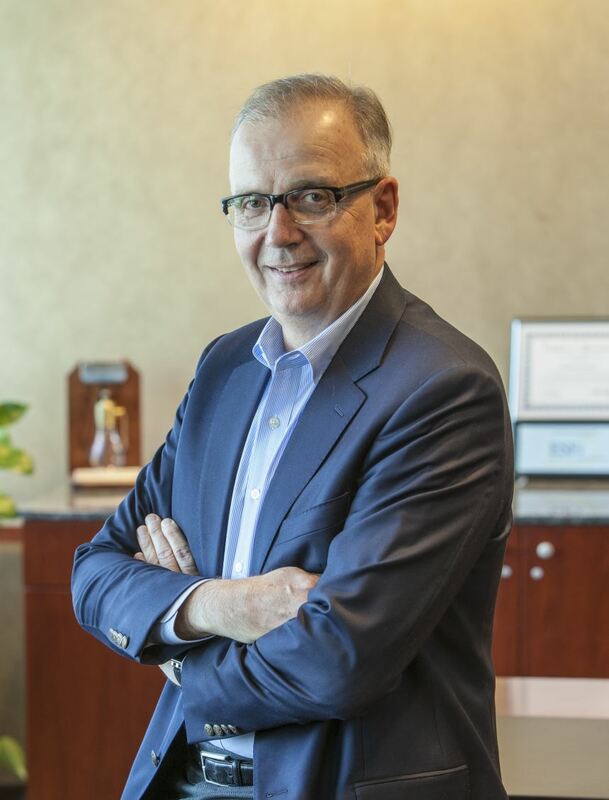 Hubbell administers an annual risk assessment that is circulated to all business managers globally and to all functional leaders and covers 100 percent of all business units. Potential risks related to corruption are an explicit focus. Hubbell vets all international sales agents via its third-party screening system. 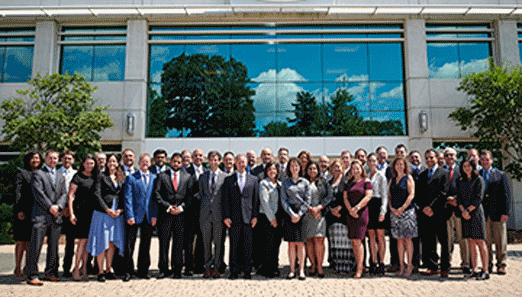 Hubbell provides updates, summary results and report outs on its anti-bribery and anti-corruption programs to its Audit Committee, and, as applicable, full Board of Directors, at various in person and telephonic meetings throughout the year. Hubbell is dedicated to working with its global supply chain partners to ensure compliance with Section 1502 of the Dodd-Frank Wall Street Reform and Consumer Protection Act. The term Conflict Minerals, as described in the Act, refers to tin, tantalum, tungsten and gold, commonly referred to as 3TG, which often originate from the Democratic Republic of the Congo. We are committed to confirming the 3TG used in the electronic manufacturing industry is sourced responsibly and in a manner that does not fund armed conflict. To that end, we conduct an annual survey, designed to verify the origins of the 3TG utilized in Hubbell's supply chain. Hubbell complies with a variety of other US and international laws regarding supply chain matters and general compliance. Hubbell has created a specific policy for its employees and directors to adhere to that prohibits making political contributions on behalf of the Company without specific review and pre-approval. Hubbell participates in various discussions and communications with its stakeholders, including, without limitation, investors, suppliers, customers, regulatory agencies, and other groups.